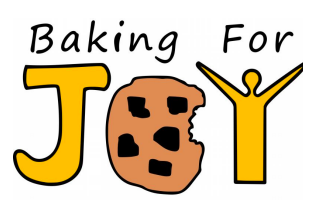 Baking for Joy is a two part enterprise whose goal is to provide therapy through baking for children in the Brattleboro, Vermont area who have a range of social, emotional, and behavioral needs. Revenue for these classes will be obtained through a separate mobile bakery that will seek to sell baked goods in the same community. The backbone theory of the organization is that mental health needs in Vermont, and in the United States as a whole, are not being sufficiently met. Too often people are labeled and written off, and it is our goal to instead embrace and support these people as they navigate what can be a very difficult time in childhood and adolescence. We also hope to demonstrate to our participants that they are capable of being contributing members despite their needs. The commercial baking is primarily going to be done by our partner, Sophie. Sophie went to technical school for two years for baking, and has been pursuing her passion for working with kids with special needs for a few years prior to Baking for Joy. She will also co-lead the sessions with our help. The first place that we intend to sell is one of the local elementary schools. We hope to sell our baked goods as a snack for the students at least once a week. This could be anything from a cookie to bread, as Sophie has the ability to make a wide variety of items. We also intend to partner with Families First, an organization in Brattleboro that works with similar children. They have let us know that there are opportunities for free spaces in Brattleboro in which we could hold our sessions. This location is perfect, and will keep operating costs low. The sessions may also include other activities than just baking, such as games, stories, music, and sharing time. This combination will allow the children who participate to connect to others in a supportive environment. Currently we are working toward finding a local school who would be interested in buying our baked goods.